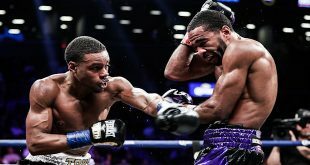 Philadelphia has historically been the breeding ground of some of the toughest boxers to ever lace up the gloves and last night at Bally's Casino in Atlantic City, NJ, one of the City of Brotherly Love's hottest prospects was in action. 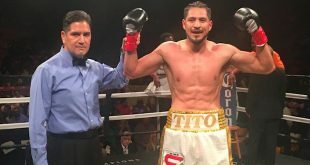 Welterweight Mike Jones put his NABA belt on the line for the second time, squaring off with late replacement Lenin Arroyo, a seasoned Miami based Costa Rican light welter. 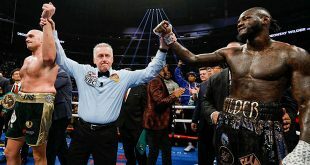 Jones put on a sizzling display of boxing skills and power punching but couldn't stop steel-jawed veteran Arroyo, who once went eight rounds with bomb throwing future WBO champ Randall Bailey. He didn't win all the rounds but Jones took almost all of them, sweeping the cards on scores of 99-91 twice and 98-92 to move to 18-0 (15) while Arroyo loses his third on the bounce to drop to 20-10-1 (4). Also on the bill, super middle Jerson Ravelo, 20-4 (12), came back from a loss in February to outpoint Willis Lockett, 12-9-5 (5), over eight by scores of 80-72, 79-73 and 77-75.